I’m kind of angry with myself. Normally I don’t go all ga-ga for fall until mid-late October when I finally get out of my major-bummer-summer-is-over funk. But this year, I’m all about fall for some crazy reason. I’ve been making pumpkin everything as of late. So far I’ve managed to hold out on a Pumpkin Spice Latte from Starbys. I did, however, make my own pumpkin creamer. It’s not that great, not worth sharing. 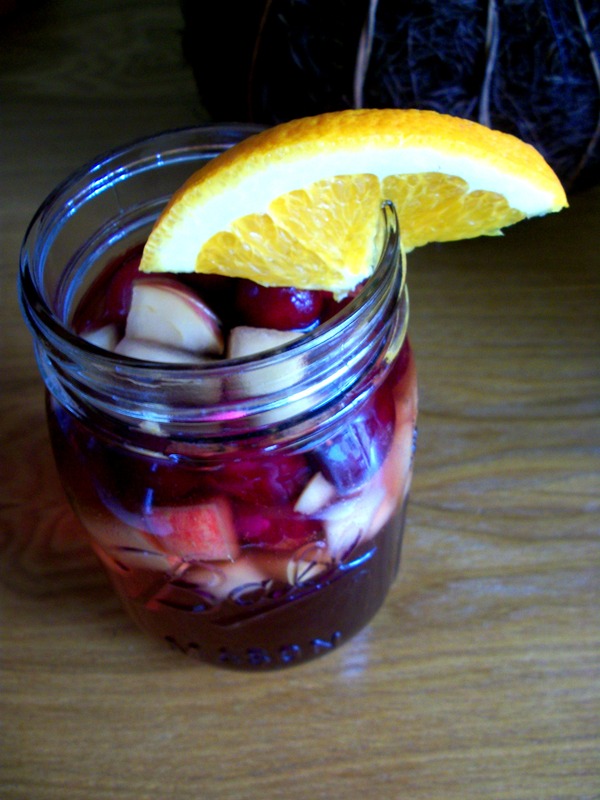 This sangria though, is toooootally worth sharing. 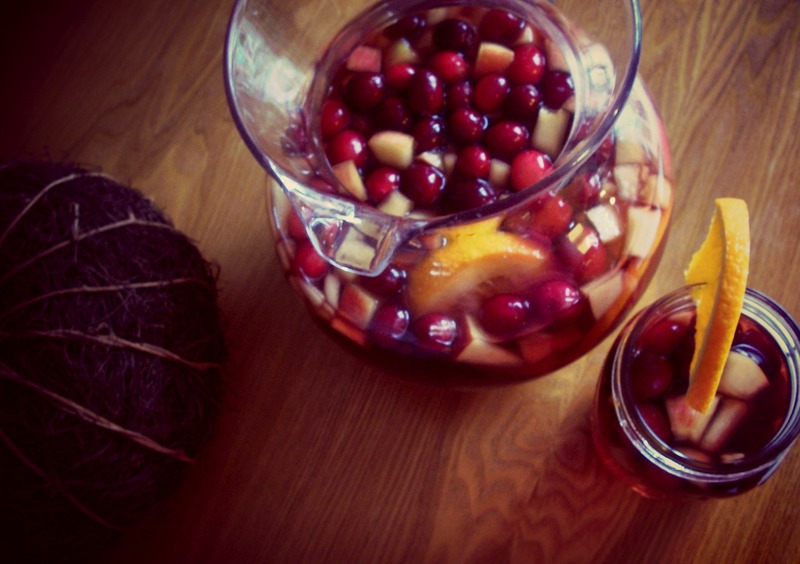 All things that an autumn sangria should be. 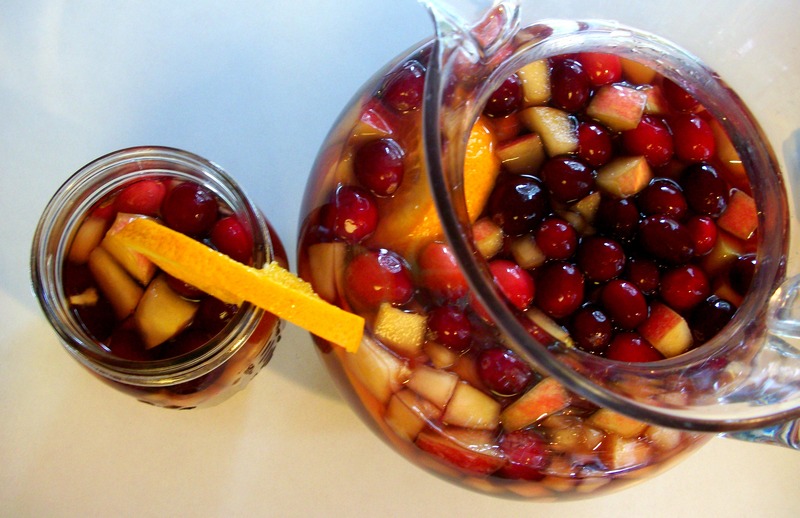 Sure, I think of drinking sangria on the beach or on a sunny patio, but why can’t fall have sangria too? 1. 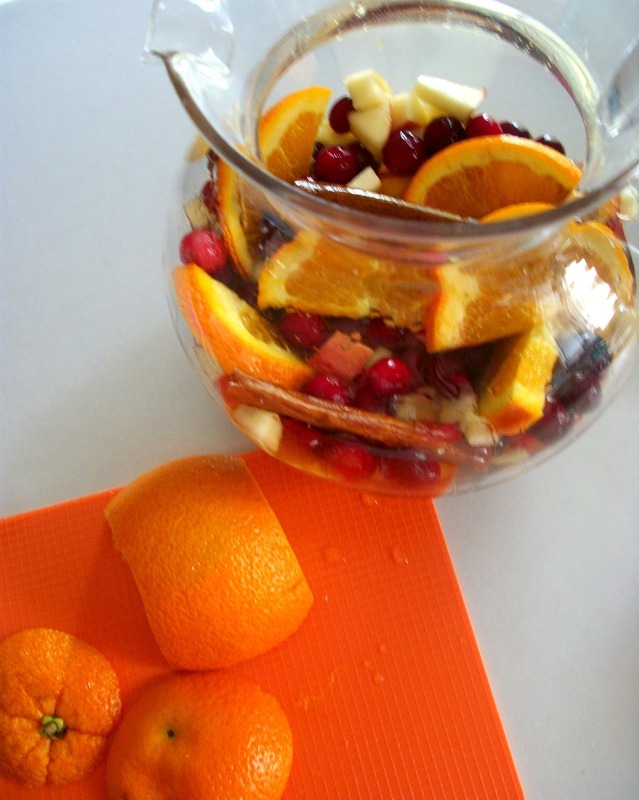 Add apple chunks, orange slices, cranberries & cinnamon sticks to an empty beverage pitcher. 2. Stir in SoCO & whiskey. 3. Place pitcher in refrigerator for at least 3 hours, or overnight. 4. Add red wine. Add apple wine, if desired. 5. Top off pitcher with apple cider, stir. 6. Pour in glass & top off with ginger ale. Does it feel/look/smell like fall where you live? Temperatures have been up & down here over the last week or two, but it’s suuuuper chilly in the mornings and gets snuggle cold at night too. Hubby says we can’t turn on the furnace until November but I’ve definitely been tempted. The leaves are turning. Today was downright blustery. It was 47 degrees when I left home this morning. Later, it was 70 degrees. And still blustery, with a summer-like lightning storm. Weather is so confused. Especially Wisconsin weather. This does look boozy! But in a good way! 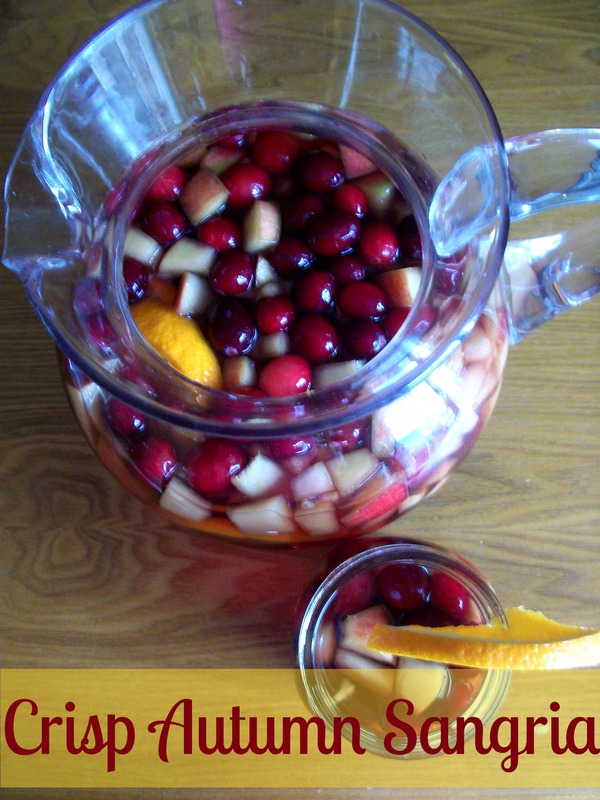 I love Sangria and would be really interested to make a hot version when it gets colder. Just edited to show that I used cold cider, like juice. However, I’m totally going to try a hot version of this now! Ooo.. a hot version does sound good…. I’m bumming hard about summer being over! How much apple cider do you use? Thanks so much! I made this for Thanksgiving and loved it. 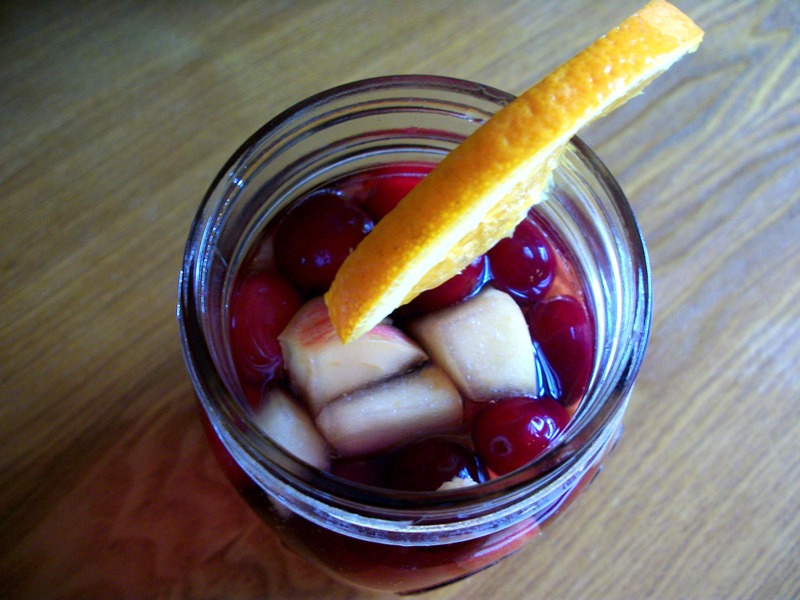 Amazed at how the sangria I typically make in the summer cools and refreshes and this recipe was warming and soothing. We all really enjoyed it. Thanks! So great to hear, glad it was enjoyed by all! Previous Post Just Like Corrie Anne!